• Paper stickers measures 1 1/2” diameter. 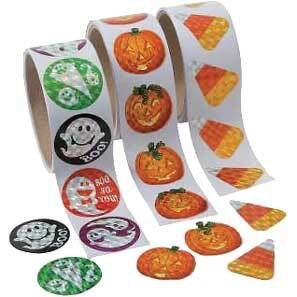 • 100 stickers per roll. Ghost, Jack O’ Lantern, and Candy Corn. • 4 sets per pack, 12 rolls total. • $4.85 per set of 3.